The Agusta Westland 109 SP Grand New (AW109SP) is the premium, latest-generation light twin engine helicopter equipped with the latest global navigation satellite system for all-weather operations. Thanks to its low noise, and low vibration technology, passengers on board of the AW109SP will enjoy the smoothest flight experience, surrounded by the highest level of comfort of the aircraft’s luxurious and spacious cabin. 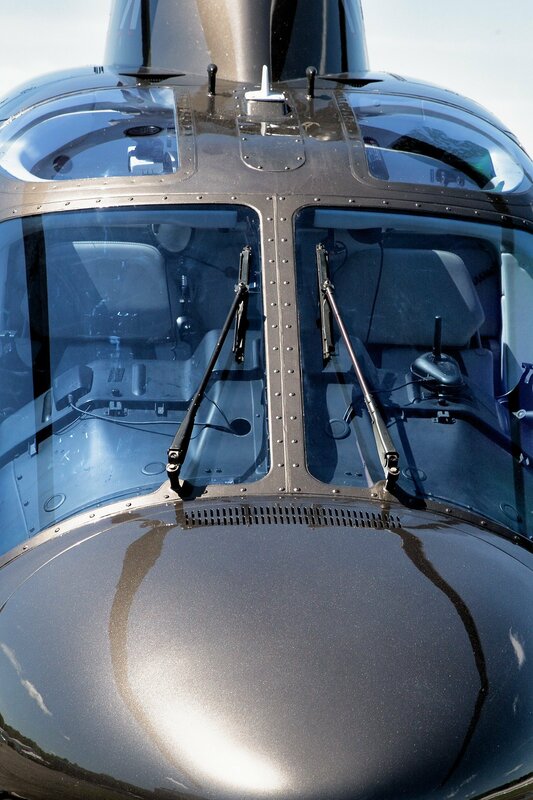 The AW109SP Grand New is the next generation of the proven Grand platform, with a new digital glass-cockpit and a composite material fuselage. The Chelton FlightLogicTM Synthetic Vision EFIS and a new 4-axis digital duplex autopilot provide the AW109SP Grand New pilots with situational awareness and flight management capabilities never achieved before on the light twin class, making it an ultimate in safety and efficiency.Designed using the latest technology, the Grand New offers high performance, all weather capabilities, a spacious cabin, low environmental footprint, and exceptional range ability, for the ultimate in luxury helicopter charter.For more information, or to speak to one of our Charter Specialists, call us at 866.947.6837.